We all know that random acts of kindness are nice, but it can be easy to forget how powerful they can be. Just a little act of kindness can make a huge difference in the world. What is more, acts of kindness are contagious. We have seen how doing one nice thing inspires other people to do the same, and the effects spiral out from there. So you can be reminded how meaningful random acts of kindness can be, we want to highlight our Random Acts of Kindness outreach program. At Hoffman Brown Company, we have implemented this outreach program to encourage our team to do random acts of kindness on an ongoing basis. One example of what this program has bred is our Anti-Stress Kits. 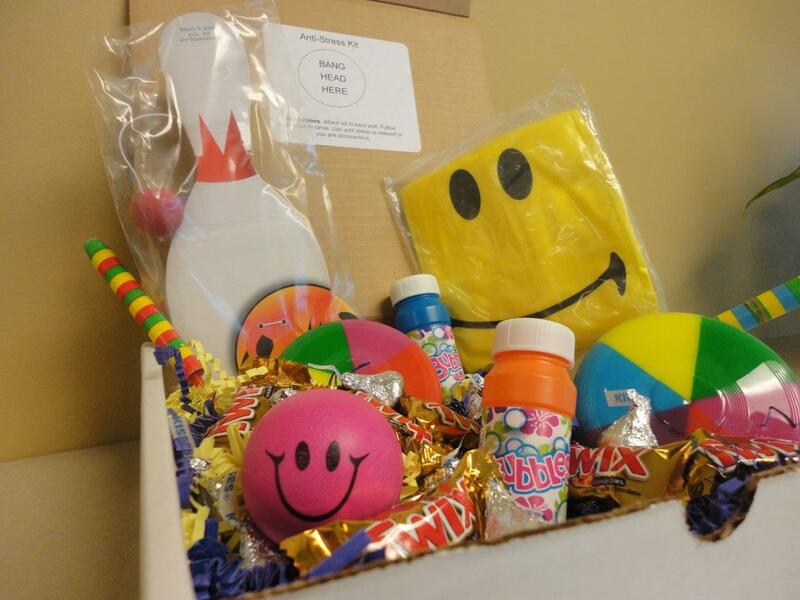 Our team put together Kits containing stress balls, candy, yo-yos, paddleballs, Frisbees, beach balls, and more. We then mailed 35 Anti-Stress Kits to our insurance carriers who are going through a large stressful transition. These spontaneous gestures brightened their day, and we have heard that everyone who was involved—from those who put the Kits together to those who received them—had an incredibly positive experience. These acts of kindness have been contagious internally at Hoffman Brown Company, and some of our teammates have even received surprises from one another! It just goes to show how contagious acts of kindness can be. So you can be freed up to spread kindness in the world, contact Hoffman Brown Company. Serving Sherman Oaks and the surrounding California areas, we are here to ensure you have the insurance coverage you need to be fully protected and live your life without worry. We care about protecting your community because it is our community, too. Call us today!